Create space in your bedroom storage for shoes in a wardrobe. 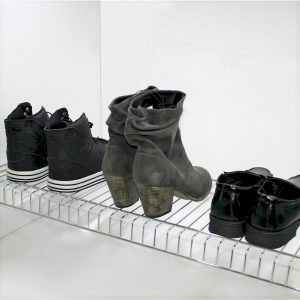 Our extensive range means we have shoe solutions for just about any cabinet. Our products are Do-It-Yourself friendly and we also offer a professional installation service. Benefit from our expert advice and take the guess work out.